For the month of February, I embarked on doing the ketogenic (keto) diet for 28 days. I had heard about this diet from many sources (Tim Ferriss, primarily). After doing the whole30 resets a few times and doing paleo, I wanted to experiment with one more food and diet experiment. I didn't necessarily set out to lose weight, but to see how my body would react under the designated guidelines. Ketosis or Keto is a metabolic state in which the body produces ketones due to a lack of carbohydrates and sugar. Once the body starts producing ketones, it then uses fat and ketones as the source of energy instead of sugar. For a typical American, his energy source usually comes from high carbohydrates and high sugar foods. Note that this is different from ketoacidosis which is a life-threatening disease that most affects Type 1 diabetics due to lack of insulin. There's more to this, but I wouldn't be able to do the scientific reasoning justice so here's a more video to explain the science. What kind of measurements did I do? On the first day, I measured by ketones level and my weight. As suspected, as I was not on a low carb diet and ate a few sugary products days leading up to this monthly challenge, none to low amounts of ketones were detected in my body. There are 3 ways to determine if your body has reached the metabolic state of ketosis: 1)test the urine 2) test the blood 3) test the breath. 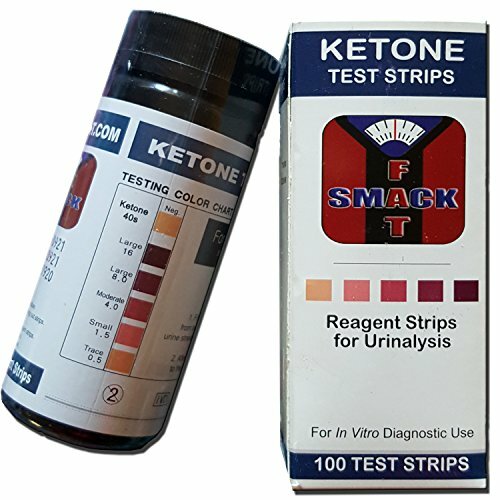 Urine testing is the cheapest and one that I used because it was easy to get over the counter test strips from the pharmacy. Blood testing is the more accurate than urine testing , but more evasive, expensive and it's a little harder to find the test meters. Breath testing is a bit more accurate, but very inexpensive in terms of test kits. I continued with self-testing using the urine test strips just to gauge where I was. It also shows you how your ketone levels can be adjusted as your change your food variables. After a few days though, my ketones level starting hovering around the moderate level and remained around that state for the rest of the month. What kinds of food did I eat? I mostly ate good meats meaning antibiotic and hormone free and lots of organic vegetables. For almost every meal, I had a large amount of good fats coming from Kerrygold butter, avocado oil, good quality bacon and coconut oil. My coffee was made out of a concoction of espresso, unsweetened cocoa powder, coconut oil, coconut milk, butter all blender together. Find the recipe here. Alternatively, you can purchase branded Bulletproof instamixes here. I only ate 2 pints of blueberries throughout the entire 28 days and no other fruit. No bananas, apples, oranges, anything. Additionally, I tried to stay from foods that were high in carbs so I also did not eat potatoes, sweet potatoes, corn, plantains, butternut squash. I also did not have a single drop of alcohol. Most mornings my meals were made out of 1 can of sardines and 2 eggs with half a tomato or other vegetable. This, along with a coffee was enough to fuel me up until around 5pm where I snacked on cheese until dinner at around 7 or 8pm. To reduce temptation, I cooked as much of our food at home. This made it easier to know exactly what we were eating. Although we did go out a few times, it was easy to ask for substitutions. On a few occasions, I asked for extra butter and no one batted at eye. Bulletproof chocolate and espresso mocha. Zucchini muffins are easy to grab and go. Philly roll deconstructed using salmon, cream cheese and vegetables. Blueberry coconut cream cheese pie with pecan crust. No sugar at all! Classic burger with bacon, no bun! What exercise did I do? During this month, I did not exercise except for long walks every other day. I did run 1 mile once when the weather was in the 60s. It was just too nice to pass up. I lost about 4 pounds on this ketogenic diet. Now, I'm 5'2 and have remained at this weight for years now so I wasn't expecting a drastic change. I am curious to know though how more exercise will affect these results. That experiment will be for another month. Did it provide more mental clarity? I can't be definitive about this. Some days, I definitely felt focused. Not feeling hunger and the need to eat, I didn't feel as distracted with having to scrounge for food. A few days I did experience headaches and not sure what the cause was. Interestingly, I was eating a lot of fat but was not gaining weight. Upon review of my food intake, I don't think I was eating enough fat and was still relying too much on protein. Protein still converts to sugar so I think moving forward as a general guideline, I will reduce my protein intake and up my vegetable and fat intake. Also remember that calorie in and calorie out matters so a deficit will result in weight loss. During this 28 days, I also had my period. Typically the days leading up to that involves bloating, mood swings, crazy cravings for chocolate and usually a small pimple. I didn't get any of those. I did get a reaction from eating this newly released Trader Joe's mixed nut butter. That's the only thing I could pinpoint it to because everything else was constant. I was worried that most of my diet involved a lot of cheese. In the past, I had thought that dairy was an irritant for my stomach, but it turns out it's not. I was fine eating as much of the cheese I could. Some days I definitely could make it with one meal as long as my fat intake was high enough. I had a headache about 3 days out of the 28 days later in the afternoon. I'm still not sure of the cause, but I was definitely hydrated and having plenty of salt. My ketones level was also pretty even during these times I was experiencing the headache. Need help tracking your goals? Enter your info to receive these FREE journal inserts. Most of the costs of this particular diet was on groceries. Instead of going out, my husband and I spent more money on organic, grass fed vegetable, protein and fat sources. Costco is a great source of getting good fats from the avocado oil to coconut oil to Kerrygold butter. I relied heavily on Door-to-Door Organics to get our weekly delivery of organic vegetables. You can find my review on their service here. WholeFoods was also a good source for grass fed dairy and meats though even some of their products are not perfect, but they are better than the standard meats found in regular grocery stores. The common thing about moving away from the Standard American Diet (SAD) is it is expensive. No doubt about it! You do have to compromise and spend more today to reduce health costs today and tomorrow. My husband and I do not take any medication or have any medical issues and spend a good amount of money on quality food. So I think that evens out in the end. Our grocery spend for the last six months. What kind of waste did I generate? As is also my thing, I want to make sure I also document the kind of trash/waste I produced on this diet. To be honest, a lot of the waste that was produced was cellophane from cheese wrappers. Some of the vegetables came in plastic containers so those went to the recycling bin. We did go through several cans, bottles and containers of sardines, avocado oil, coconut oil, coconut cream, and coconut milk. My vegetable scraps partly went to my vermicompost and partly to the trash. Sometimes, we generate too much compost that the worms are not fast enough to eat it all, but they at least they are eating healthy. I've done several rounds of whole30 and paleo before. The main thing I liked about whole30 was that it was very structured in what you could and could not eat. It opened my eyes to so many bad ingredients. It also made it easier to decide what to eat. I liked doing paleo because it was a little bit more flexible than whole30. It allowed paleofying of desserts which was a plus to my sweet tooth. The ketogenic diet reintroduced dairy in the form of cheeses back into my diet perhaps in higher quantities that I would normally have eaten. 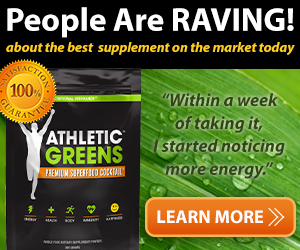 I learned which foods where more carbohydrate heavy and ate more greens instead. There's a bit more flexibility to the ketogenic diet that I like, but I do find that whole30 is easier in terms of what to eat and what not to eat. There is no one perfect diet for all of us. Even before we add in exercise, our bodies metabolize differently due to so many factors: from genetics, to microbes, to environment, to past medication, it's really up to all of us to experiment and figure out what works best for us. I hate the word "diet" because it has such a bad connotation, instead let's think of these as food and body experiments where we hypothesize and learn what our bodies really need to optimally function. Weight is always a big thing with diets. Instead let's take a page from the whole30 book regarding non-scale victories: lack of inflammation, change in skin tone, better energy level, no heartburn, etc. As with any food and body experiment, definitely do your research. Speak with your doctor. I will note that most of the materials I read regarding keto had a lot of skeptics from doctors. Most of this is because doctors don't necessarily get trained on the food as medicine premise so many are quick to dismiss the benefits. Additionally, new evidence was exposed last fall about prominent doctors getting paid a sizeable sum to point the finger of blame for our health issues to fat instead of sugar. Nonetheless, do your research, experiment with body. Remember that your body is different.